Burglar Alarm Systems and CCTV Camera Systems are great deterrents against intruders. But if they’re called into action, that means intruders have been close enough to your property to cause damage or even break-in. We’re approved access control installers of a whole variety of door entry systems mainly across Poole, Bournemouth and Dorset but we’re also smart access control installers stretching across the south. So we can help when it comes to installing basic audio intercoms in one home or complex multiple video entry systems in apartment blocks, to fully automated smart home security solutions with integrated automated driveway gates. When electronic driveway gates are linked to your home intercom system, you’ll have complete control over who’s on your property, expected or unexpected. These home security systems are particularly suited to home that keep multiple cars, motorbikes, bicycles, and other assets on the driveway or stored in the garage. Similar to our access control systems that we install in businesses, controlling door entry remotely is a popular modern day security solution so that you’ll only answer the door to someone you know, or are expecting. Door intercom systems are great; they’re simple to install, their effectiveness is unrivalled, and they’re surprisingly affordable. 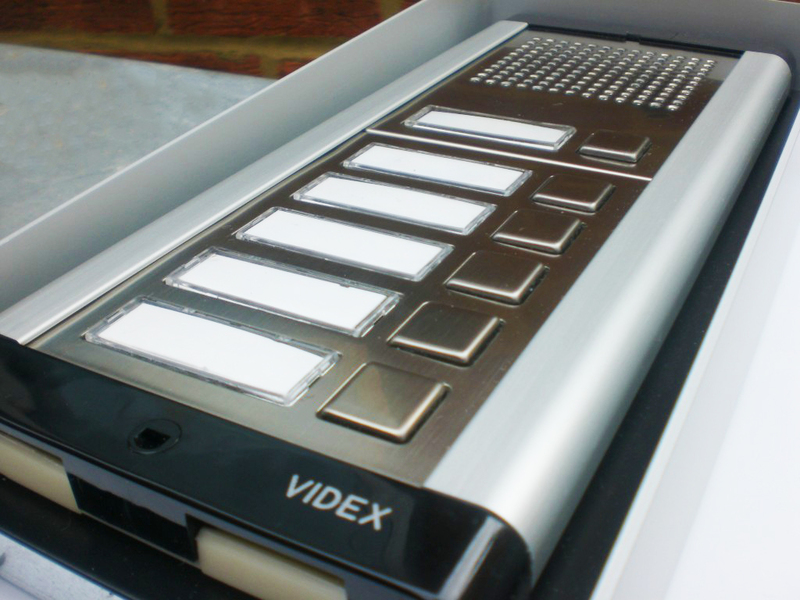 As authorised Paxton access control installers, the market leading manufactures of audio and video intercom systems, we’re big advocates of their affordable and easy-to-use door entry systems. Their extensive range of intercoms means that we can always suit the needs of our customers. Keeping valuable cars on your driveway makes you a target for criminals with technology capable of breaking in and driving away. Automated gates are more affordable than ever and we can design a gate system that works for your driveway, we’re sure that it’ll be an investment worth its weight in protection. CAME UK, our chosen automated gate suppliers, produce a whole range of quality systems to suit most budgets. Their systems link to all the home security products we use, so if you’re looking to have electric gates as a standalone system or a fully integrated access control system, we can help. The future of modern day home security is here. Imagine controlling the locks on your doors from a secure app on your smartphone. Then imagine this linking to the alarm system and CCTV cameras. We’ve seen a big increase in enquiries about these door entry security systems, and as one of Dorset’s best access control installers, we’re happy to talk through your options too. Our suppliers also manufacture biometric door entry systems (fingerprint technology), and they’re gaining popularity mainly on internal doors, garage doors and such like. They’re smart and keyless, so you don’t have to worry about carry keys or remembering a key code, just register your fingerprint with the device and enjoy the ease of access.